Gregor the Overlander series arrived whilst I was on holiday. Remember I blogged about Rick Riordan, (author of the Percy Jackson) recommending this series? Well all I can say is thank you Rick!! What a book! I read the first in the series in two sittings! Suzanne Collins who wrote ‘The Hunger Games’ has really got a great series here which does kind of remind me of Percy Jackson because of the quest style story. Gregor and his young sister get swept into the Underland via their launderette (don’t ask, just read). In this Underland there are riddles and prophecies written by the original founder as to the fate of the underground world. 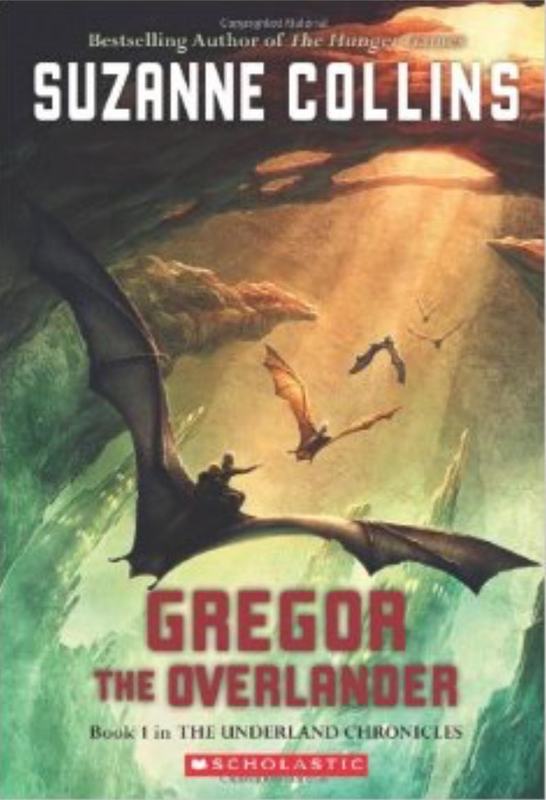 Is Gregor destined to change the course of history in the Underland??? I have so many unanswered questions after reading the first book that I am glad I bought the whole series to whizz through and hopefully find answers! A really addictive book which would be great for anyone who is a fan of adventure books such as Percy Jackson or Alex Rider. Even if you haven’t read those books but have thought about it, why not try this series? Next Post Where to buy books?